Welcome! This static page is a temporary placeholder while we are redesigning our website to include recent activities, upcoming events, and archival materials. for performers, directors, and coaches, visit www.wesleybalk.org. 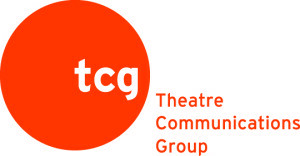 2019 COMPOSER-LIBRETTIST STUDIO, Click here. Since 1986 Nautilus (formerly The New Music-Theater Ensemble) has provided opportunities for the artistic growth of music-theater artists who create, develop, and produce new operas and other forms of music-theater that are emotionally expansive, dramatically engaging, and spiritually stimulating. We form partnerships between creators, performers, and audiences in order to contribute to the quality and diversity of new American music-theater, and we envision an extended family of artists and audiences that uses music-theater as a tool to support the individual and collective growth of the human spirit. We offer multiple training opportunities for artistic growth, including Performing Power classes for local performers, the annual Wesley Balk Opera/Music-Theater Institute for performers, directors, and coaches (now in its 41st year), and a Composer-Librettist Studio (now in its 36th year), held here in the Twin Cities, New York City at New Dramatists, and other sites around the country. Rough Cuts is an informal series of works-in-progress, dialogues between artists and audiences, and explorations of the creative process. Repertoire includes projects under development by Nautilus, works by independent artists who need a performance venue, and partnerships with other organizations creating and presenting music-theater. We continue to initiate the creation of new operas and other forms of music-theater, developing them all the way through to fully-staged productions. We perform at a variety of locations throughout the Twin Cities, in such venues as the Southern Theater or the Minneapolis Theater Garage — and most recently, in our own studio in Lowertown Saint Paul. On occasion we also present innovative productions of existing work, and take our work on tour throughout Minnesota. This program seeks partnerships with organizations and individuals who are interested in engaging Nautilus artists to create music-theater or related developmental activities for their communities, such as corporate venues and social service organizations. We provide artists who create and perform, along with various workshops and classes. nau•ti•lus (naw´-tuh-luhs) n. [from the Greek nautautilos, literally, sailor, one who navi- gates or explores, esp. on the unknown sea; from root naus-, ship]. 1. A cephalopod mollusk with a spiral-shaped shell, consisting of a series of chambers created incrementally. Its geometric precision has inspired poets and artists for centuries. 2. The name of the world’s first nuclear submarine, made famous in 1958 for a non-stop voyage under the polar ice pack. It was christened after the underwater vessel of the same name from Jules Verne’s 1870 futuristic novel, 20,000 Leagues Under the Sea, which tells the adventures of Captain Nemo, a wild-eyed, bearded fanatic. 3. An integrated exercise system designed to stretch and develop all of one’s muscles, resulting in greatly increased flexibility and strength. 4. The best-kept secret in the Twin Cities performing Arts community.